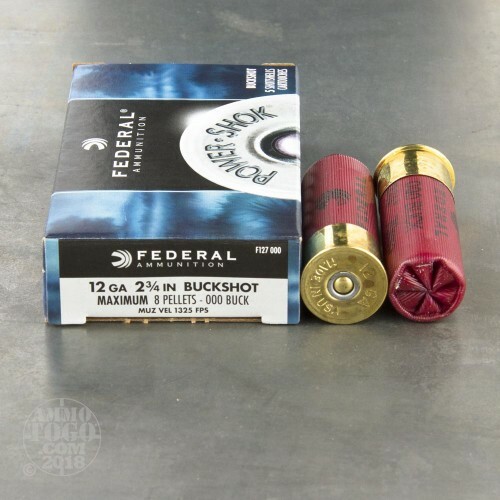 Federal's Power-Shok Buck Shot shells are a great choice for deer hunting. 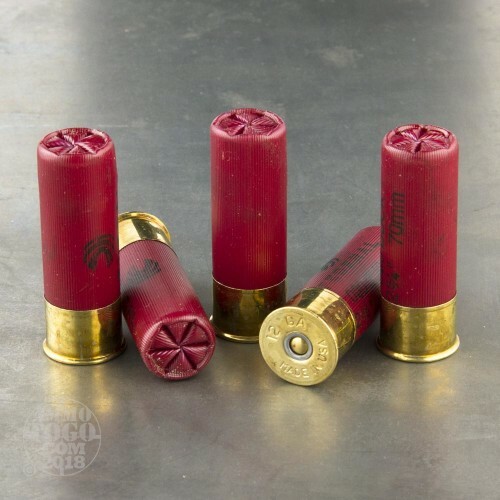 These 2-3/4" shells are filled with 8 pellets of 000 buck shot and have a muzzle velocity of 1,325 feet per second. 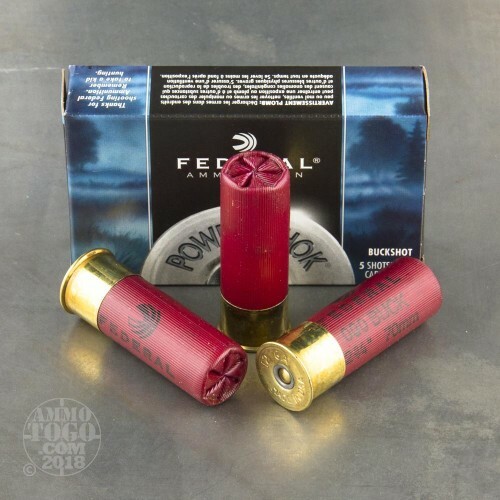 Federal utilizes a triple plus wad system to keep the pellets aligned and a plastic buffer to help keep the pellets uniform. 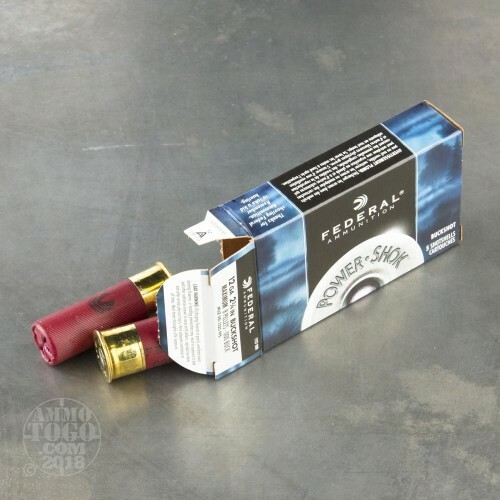 The results are tight patterns down range and hard hitting knock down power.